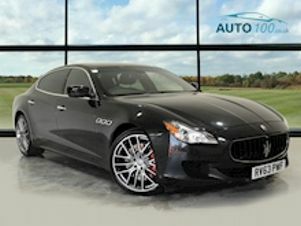 Find your dream Maserati car today at Carsnip. We’ve got over 407 used Maserati vehicles available, and our intuitive search system means that you can make the best decision in the easiest way. We’ve made buying your next car easy. Browse over 407 vehicles below. The Italian sports car manufacturer Maserati is an exciting brand for those after luxury, performance and style. Owned by parent company Fiat Chrysler Automobiles, recent additions to the Maserati line-up have been impressive. 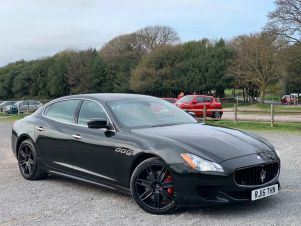 The Quattroporte is a four-door saloon which easily rivals luxury German models such as the BMW 7 Series. It’s got class, comfort and high levels of build quality, and early examples from 2004 onward are relatively affordable on the used market. The Ghibli, although it has four doors, is at the smaller end of the spectrum – more akin to a BMW 5 Series. Like many in the Maserati line-up, it’s a powerful and luxurious sports car with enviable performance qualities.